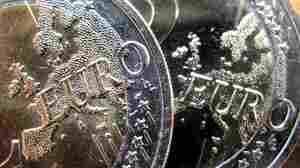 April 23, 2012  Far-right National Front candidate Marine Le Pen could determine who wins the May 6 runoff. She finished a surprisingly strong third on Sunday. 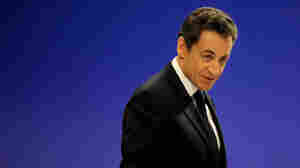 If Sarkozy can't appeal to enough of her supporters, he could lose to Socialist Francois Hollande. 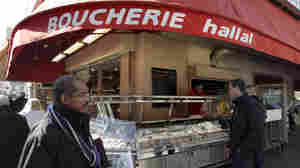 April 2, 2012  Halal meat butchers have a reputation for quality in France. And with an estimated 6 million Muslims now living there, halal products are becoming increasingly popular, and sometimes political. 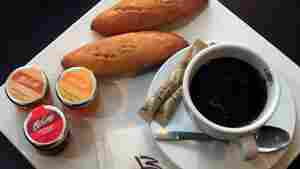 Now one French-Algerian restaurant is trying to make French-Halal fusion food official. 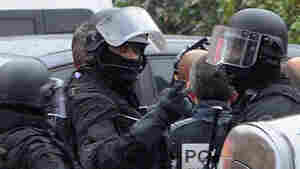 March 22, 2012  A two-day standoff with a man suspected of killing at least seven people in and around Toulouse, France, came to a dramatic end. March 21, 2012  Seven people — three children and a rabbi at a Jewish school, and three French soldiers — have been shot to death in recent weeks. According to France's interior minister, the suspect claims he was avenging the deaths of Palestinian children. 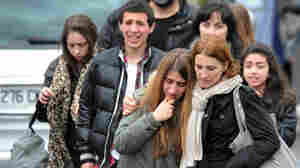 March 19, 2012  Authorities say a gunman killed at least four people outside a Jewish school. One was a rabbi who taught Yiddish there. Two were his young sons. The fourth was a young girl. Last week, a gunman killed three French soldiers in the same part of France. March 15, 2012  France may be in the middle of an economic crisis, but politicians seem more interested in talking about halal meat and religious dietary rules. It all began when National Front Party presidential candidate Marine Le Pen said that non-Muslims in Paris were unwittingly eating halal meat. 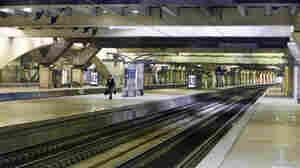 January 24, 2012  France, the land of haute cuisine, is McDonald's second most profitable market. That's partly because the company has figured out that to win over the French, it must encourage people to take their time while eating. 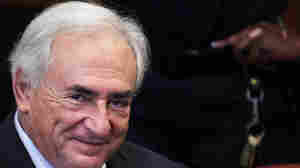 July 1, 2011  If the sexual assault case against the former head of the International Monetary Fund collapses, he may be able to return to prominence in France — where he was expected to be a leading contender in next year's presidential election. June 30, 2011  As Sarkozy was shaking hands with people in southern France, a man reached out and grabbed the president's shoulder — almost pulling him down. Guards tackled the man. 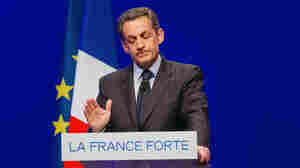 Sarkozy did not appear to be injured. April 11, 2011  The French president has long hoped "to lead a risky international mission that holds out promise of ultimate glory," says Harvard's Arthur Goldhammer. April 11, 2011  Some women wearing the veils protested outside Paris' Notre Dame Cathedral. At least two were detained by police.